Lene Nordermoen is a former snowboard pioneer who was one of the very few females who ventured into freestyling in unpisted terrain. 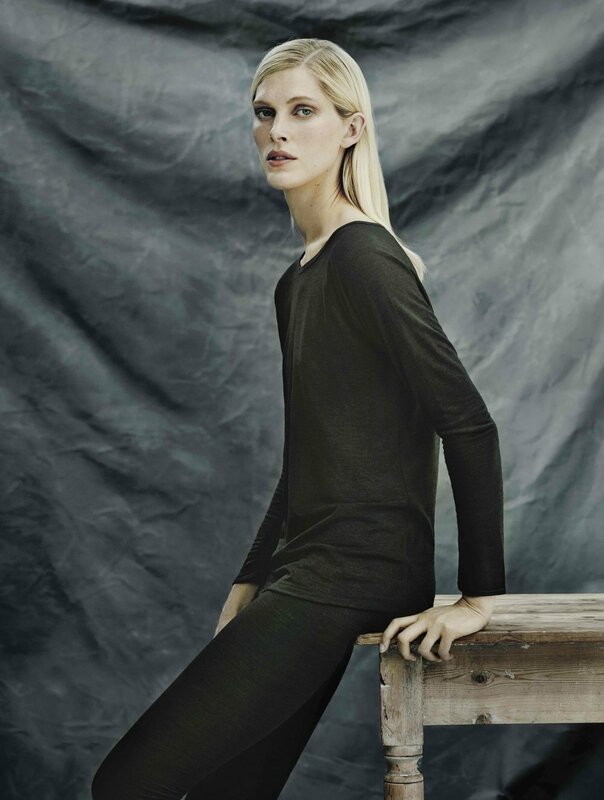 Iselin Steiro is a world renowned top model. Though their backgrounds are ever so different, the two women have teamed up to develop a unique and innovative undergarment concept, inspired by Nordic lifestyles. Le Backhand is a brand with products wearable through four seasons, under all weather conditions. The garments are minimal and simplistic, not trying to provoke or demand attention. With a combination of merino wool and silk, the brand emphasises not just maximum quality and practical every day use, but also values such as humility and respect for both nature and humans. They practice these values by working only with small, family-owned companies located in the vicinity of Porto, Portugal.